Johnson City, New York –Leo Jones and Jeff Sabitus of Cushman & Wakefield/Pyramid Brokerage Company, Binghamton, NY and Lisa Menin of Jacobson Properties, New York, New York are pleased to announce the sale of Our Lady of Lourdes Memorial Hospital Orthopedics Building, a 23,383 square foot medical office building located in Johnson City, New York. The building is 96% occupied by Our Lady of Lourdes Memorial Hospital (a member of Ascension Health). 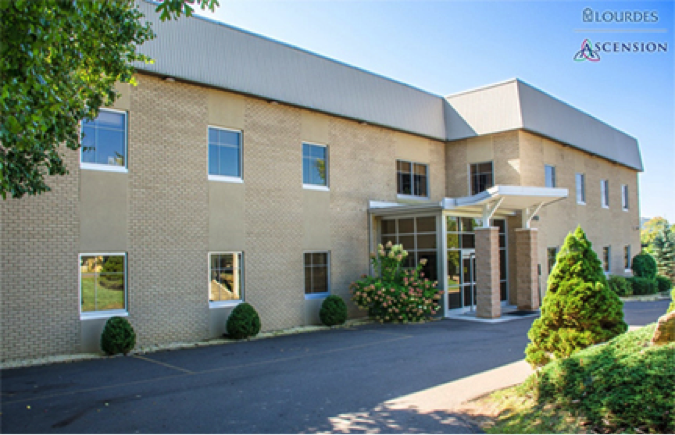 The medical office building was sold by Bent Tree Realty to a privately held healthcare real estate investment firm for an undisclosed price. Menin, Jones, and Sabitus served as the exclusive advisors to the seller in the transaction.